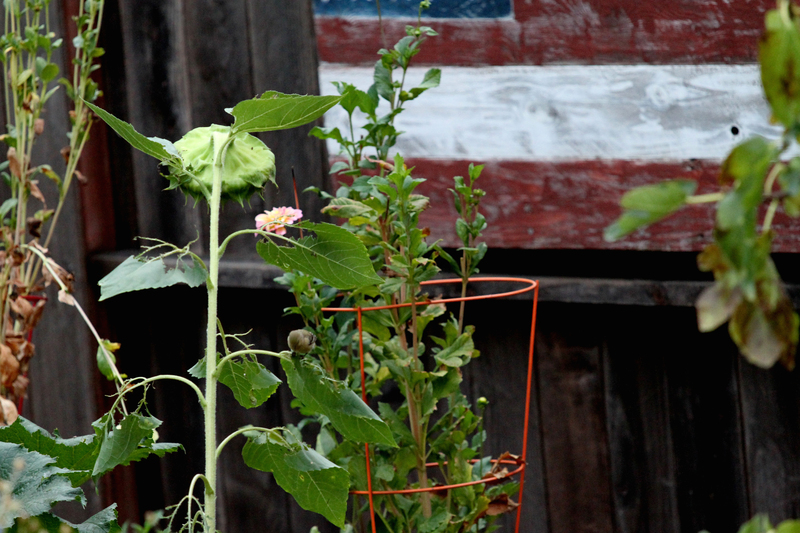 Fall can be a scraggly time in the garden. Each year I itch to pull out old plants that have faded beyond their glory days to replace them with something fresh. But, when I wait, and put up with the dead looking, seed loaded plants, I am always rewarded! A few days ago a quick movement in the garden caught my eye. 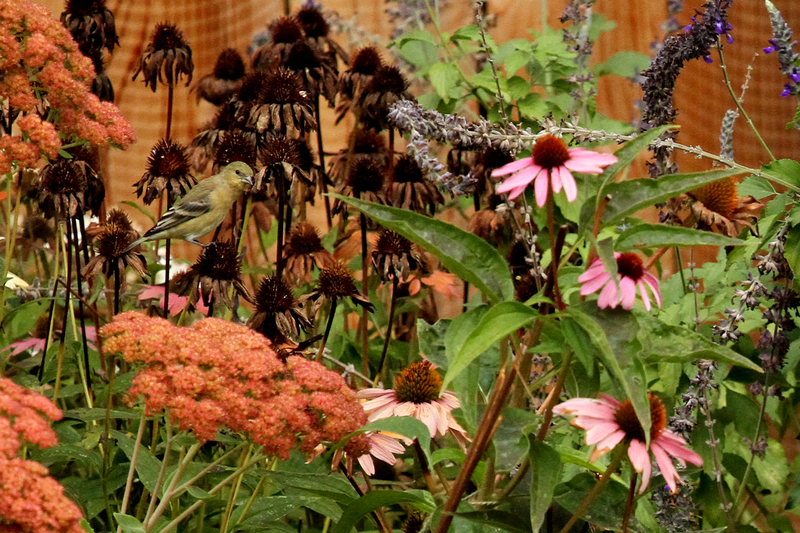 I looked out to see a single tiny Goldfinch sitting in the midst of my sad, dying Bachelor Buttons. It was the moment I have been waiting for all month. This one little guy gave me time to grab my camera and long lense just as the rest of the flock arrived to dine. Next they moved on to the Echinechea (Cone Flower) plants I allowed to go to seed. 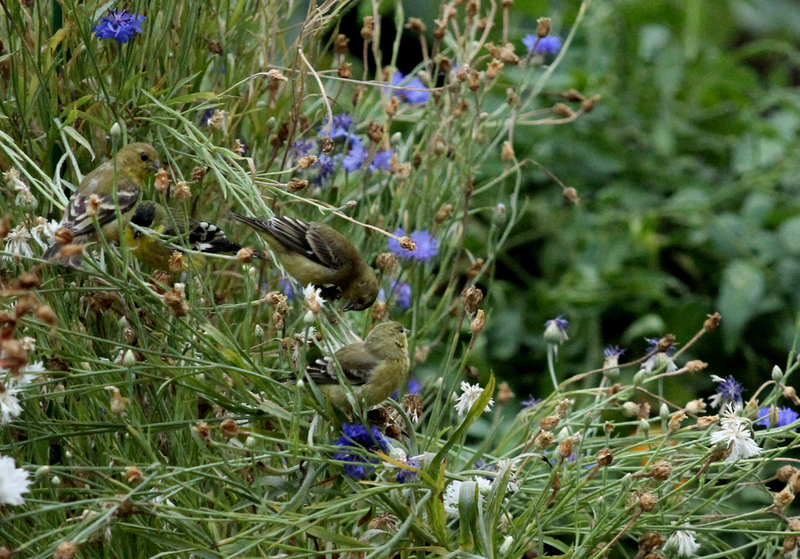 While the goldfinches feasted on those, a hummingbird dropped by to sip nectar from the saliva close by. 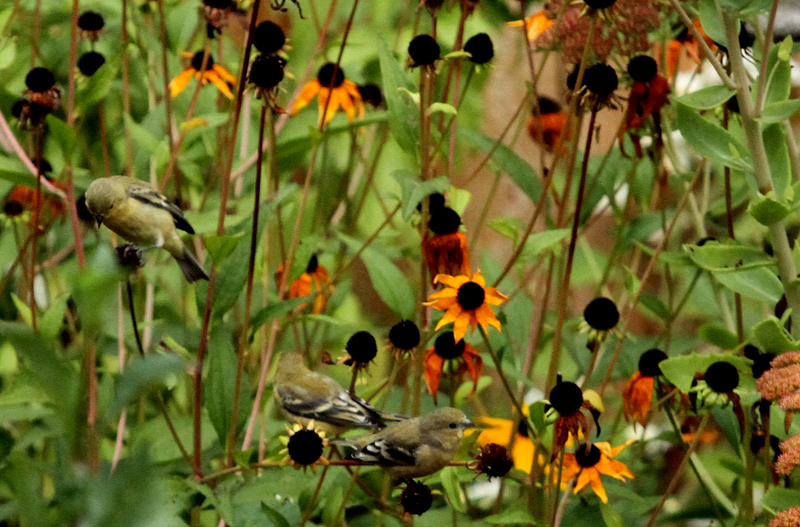 After finishing off there one little guy parked himself on a fading sunflowers and had a little extra snack. 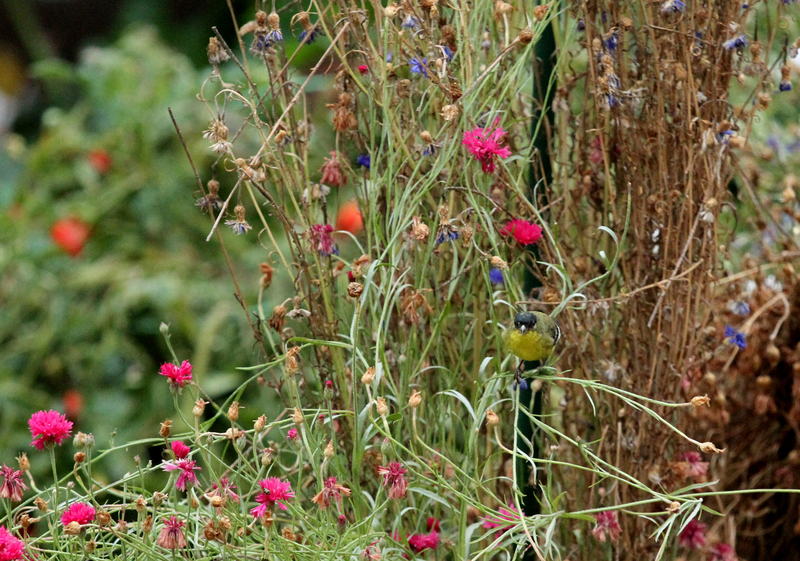 Being sensitive to movement in your garden can produce such enjoyment as the seasons pass and different birds stop by. 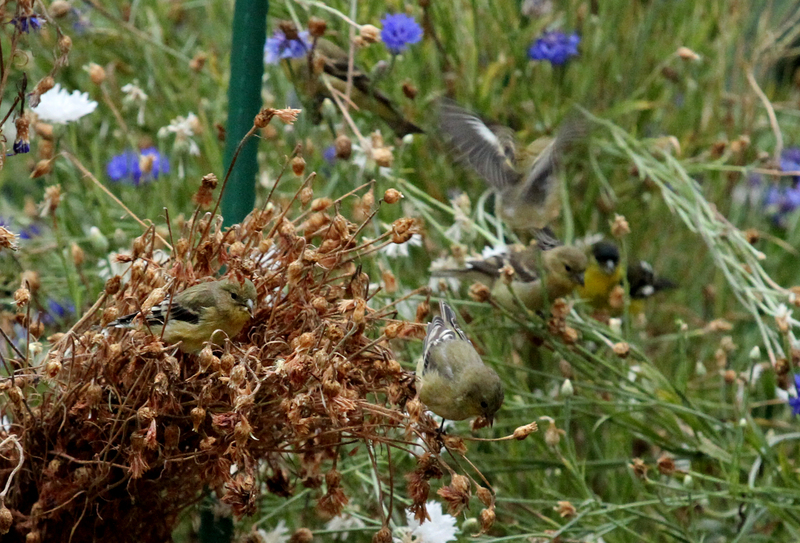 Be sure to leave a few plants to go to seed….it’s worth the weeks of an untidy mess to see this little feast happen in the garden each fall. ← Tomato Fresh Salsa Hybrid – Perfect Bruschetta Tomato!